This miracle certainly did the Servites a good turn: the church became an important pilgrimage destination. 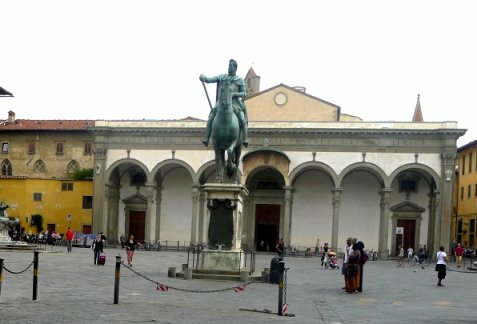 The church grew wealthy, and needed somewhere to store that wealth – the Armadio degli Argenti. 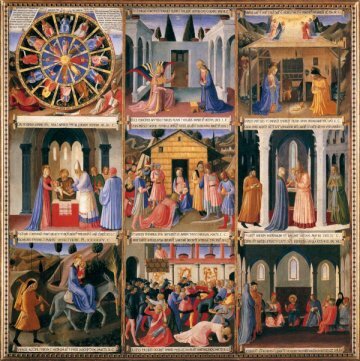 In 1448 Piero de Medici commissioned Fra Angelico to decorate the doors. 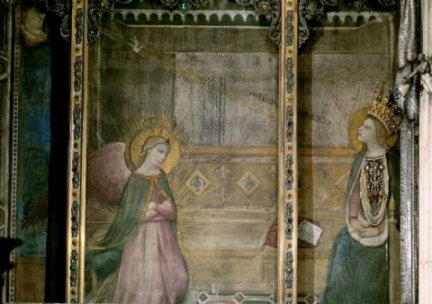 The Blessed Angelico was busy in Rome at the time, so did not start work on the project until 1449/1450. A return to Rome, where he died in 1455, meant that he was unable to complete the panels. The cupboard itself no longer exists, and the original arrangement is unknown. 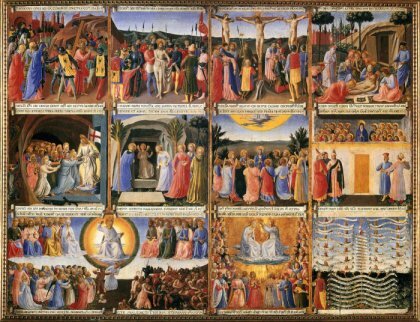 The paintings are now on three large panels containing nine, twelve, and eleven scenes respectively. A fourth panel has the three works attributed to the Artist Alessio Baldovinetti: The Wedding at Cana, The Baptism of Christ and the Transfiguration. It is thought that there were originally 40 panels: 35 survive. 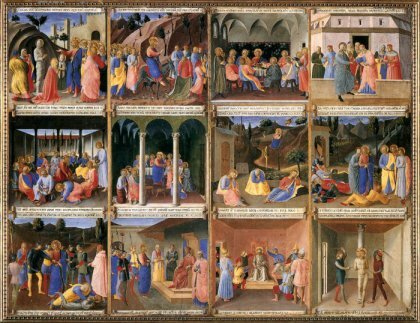 Inevitably, there is much debate as to which panels are all the work of Fra Angelico and which are by his team. That will not concern us here. The panels are a comprehensive retelling of the childhood of Christ and the Passion, and it is interesting to speculate on what the missing five panels might have shown.